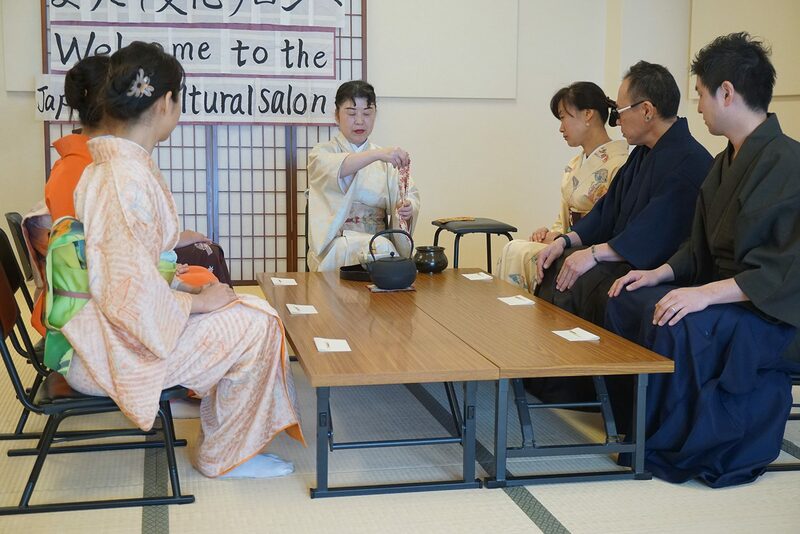 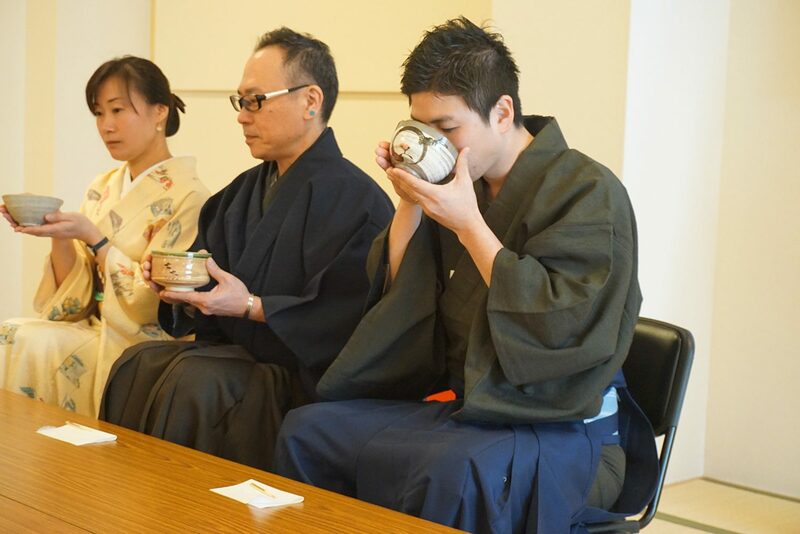 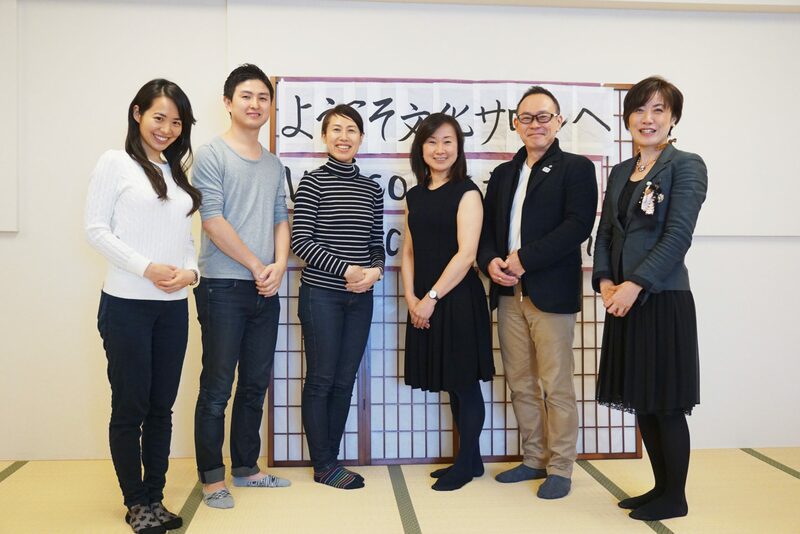 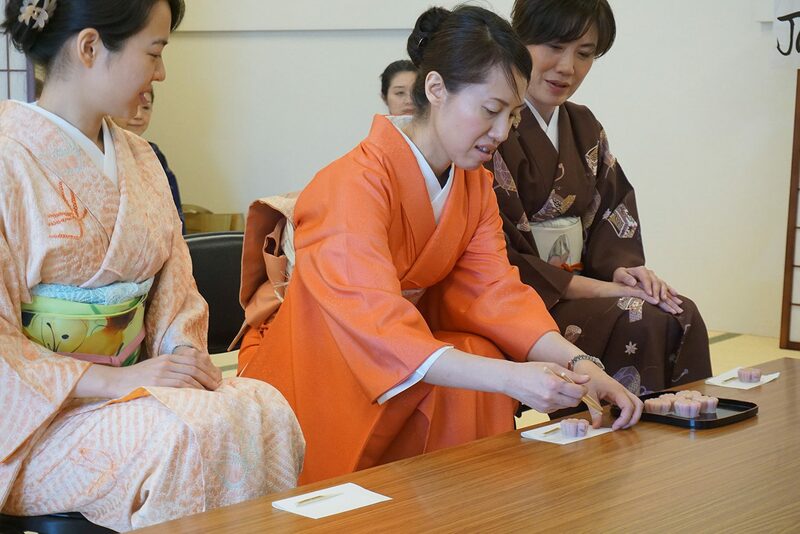 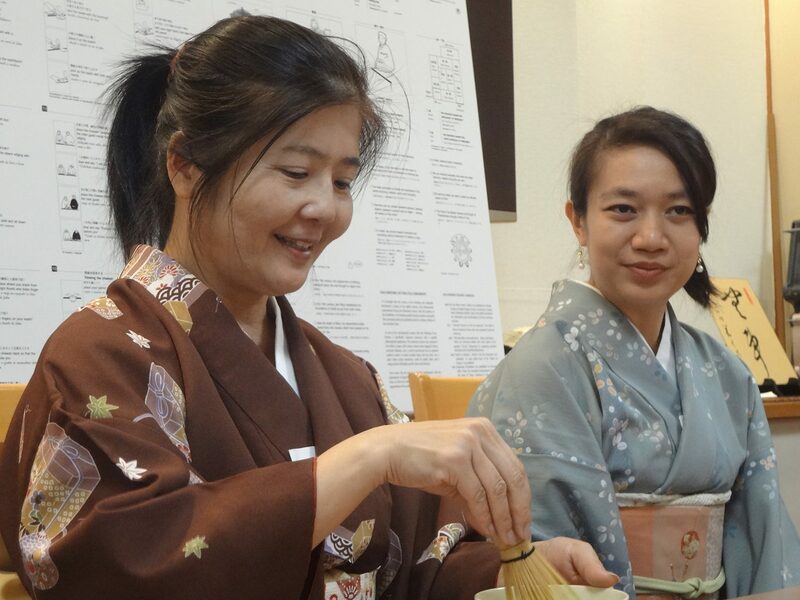 Enjoy tea ceremony in your Kimono! 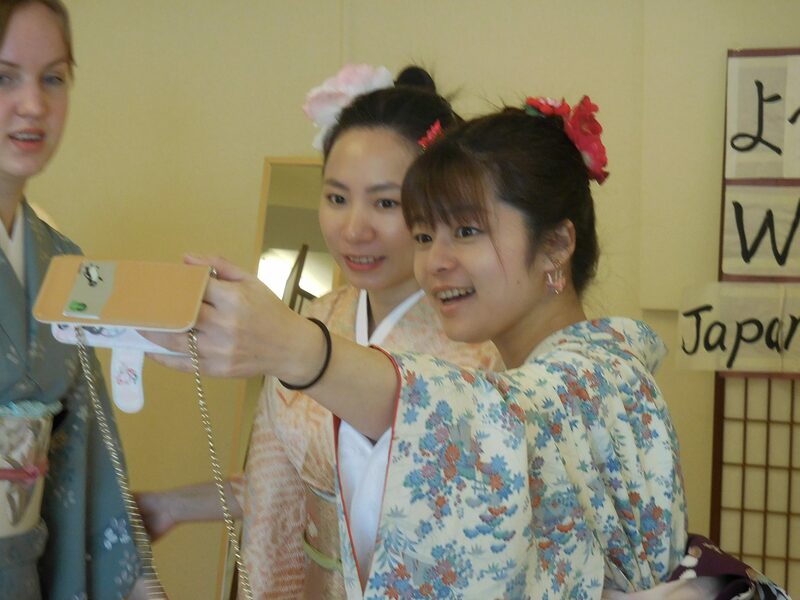 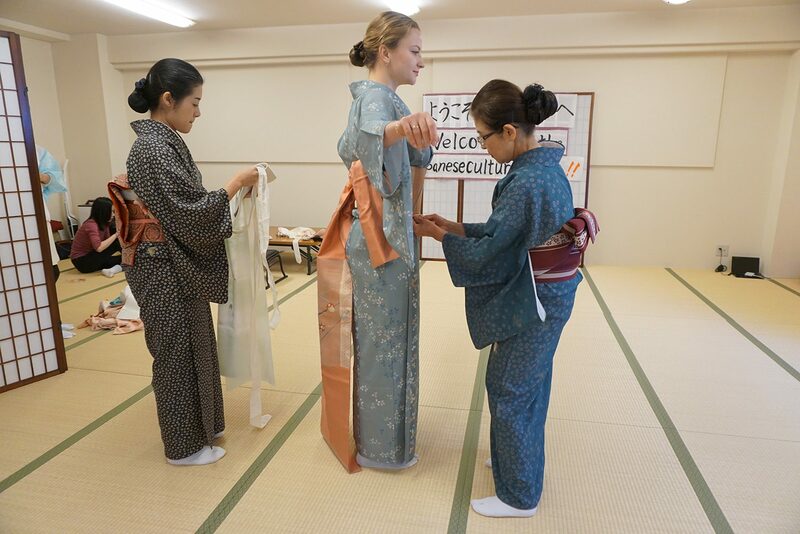 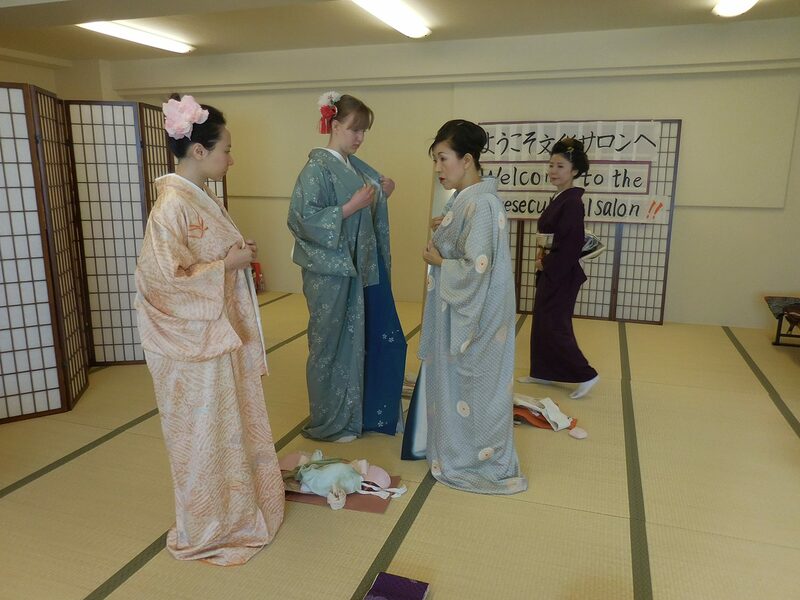 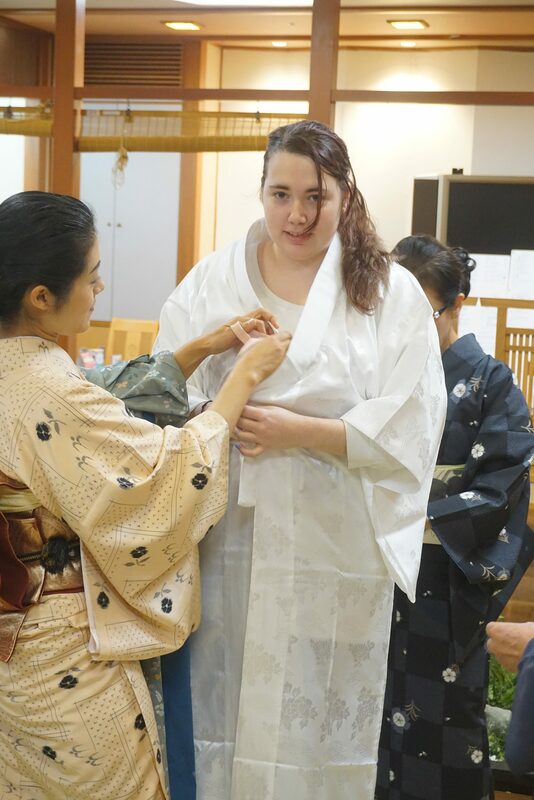 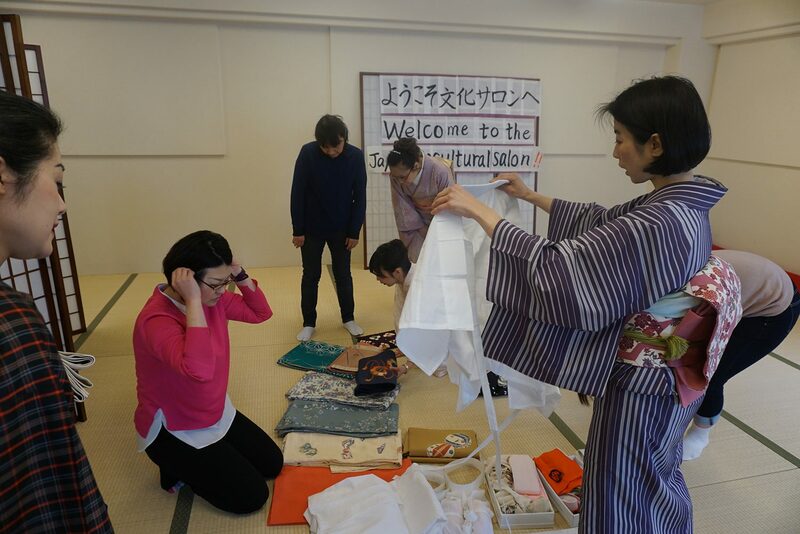 （1）Choose Kimono and Obi.Start putting on Kimono with teacher. 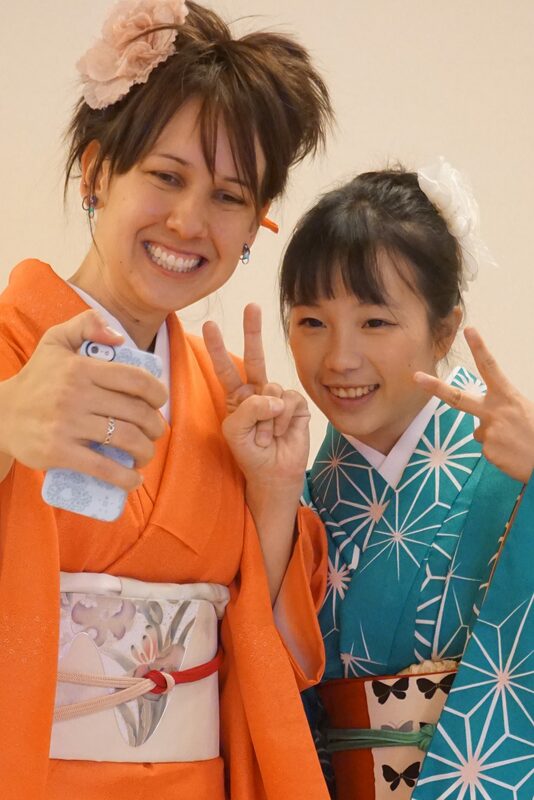 （2）Your upper body is wearing a T-shirt or tank top. 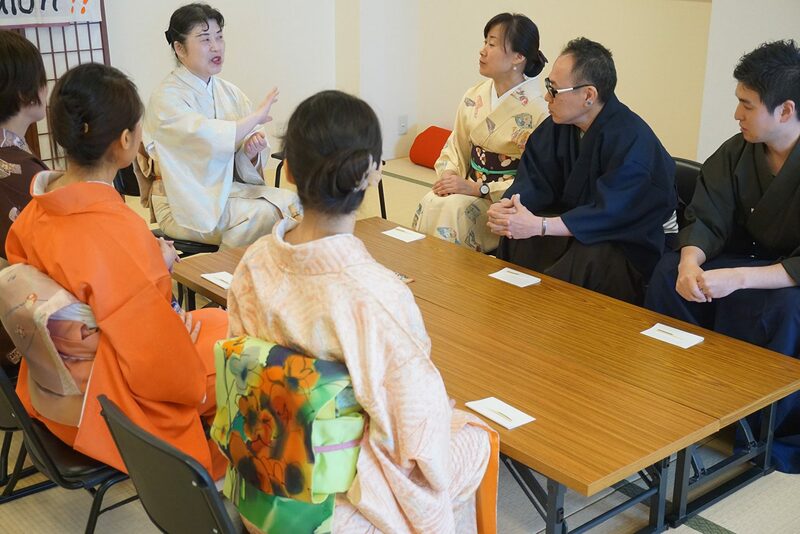 （8）Explain guests(main guest, second guest, third guest, last guest) motions.